Simple rustic farmhouse sign with carved lettering. 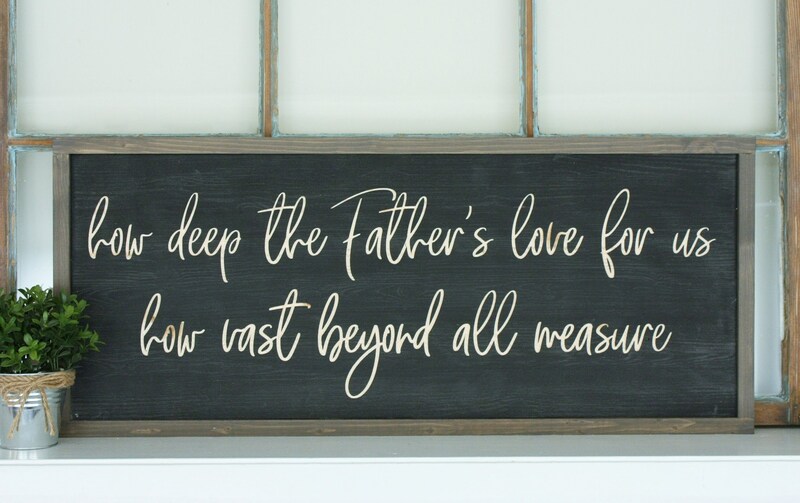 Sign measures 13.5"H x 31.5"W. As shown with a black background and frame in vintage stain. Like all our signs, this piece is handmade out of pine wood. 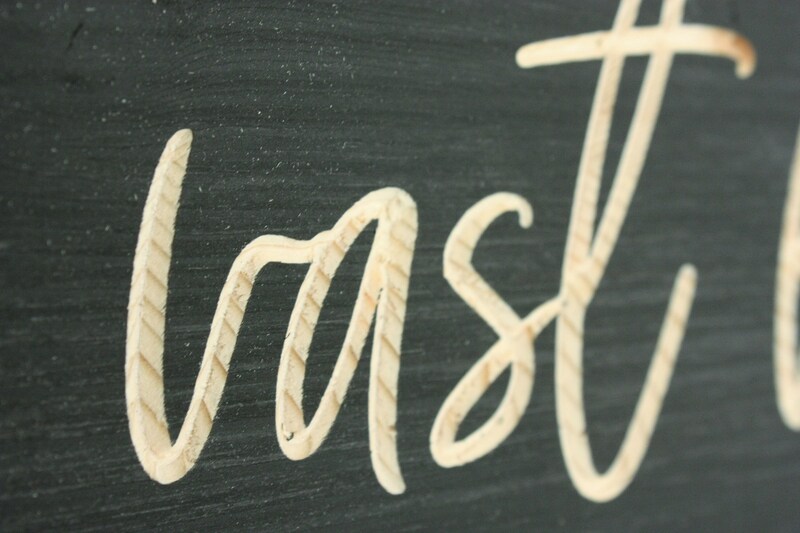 We carve the lettering into the painted wood. It's an incredibly crisp, clean, striking sign!